I recently celebrated the 25th anniversary of my conversion to Catholicism. When I think back to the time of my conversion, I remember that it was a season of much optimism in the Church. Everyone seemed to feel that we had turned the corner from the unmitigated disaster that was the 1970’s and 80’s and that, under Pope John Paul II, we would soon see the Church restored to her former glory. Every week another Protestant minister was becoming Catholic. I felt I was joining a Church that would be a robust proclaimer and defender of Christian truth and values for the rest of my lifetime. Now I’ve lived as a Catholic for a quarter of a century, including five years working for a diocese. It’s been an interesting ride, and not what I expected. 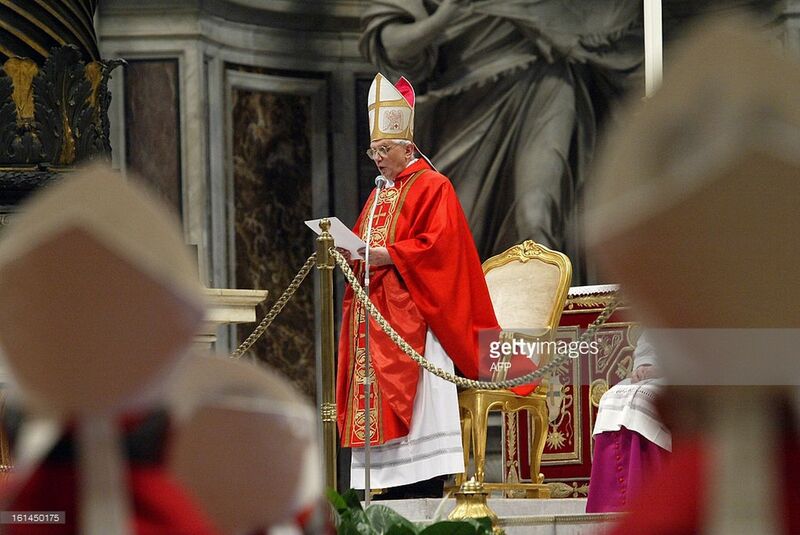 I felt privileged to come into the Church under Pope John Paul II, and I was literally jumping for joy when Cardinal Ratzinger – my favorite theologian – was elected Pope in 2005. However, in that time I’ve also witnessed scandal after scandal: the priestly abuse crisis, unchallenged homosexuality among the clergy, lukewarm parishes as the norm, false teachings and cowardly actions emanating from all levels of the hierarchy…the list could go on. In many ways, things appear far worse now than at any time in my (admittedly short) lifespan as a Catholic. If I had foreseen 2017 in 1992, would I still have become Catholic? It’s a legitimate question, and if I were to focus only on the human side of the equation, the honest answer is probably “no.” After all, one of the primary reasons I abandoned Protestantism was that I saw in the Catholic Church a dependable rock upon which I could safely and securely stand in the turbulent waters of modernity. One of my first steps toward Catholicism originated from my frustration with Protestantism’s moral teachings (or lack thereof). I was a member of the United Methodist Church, which endorsed both artificial contraception and abortion. As I surveyed other Protestant denominations, I found none that weren’t caught up in the winds of moral relativism that permeate our modern life. In the Catholic Church, however, I saw a bulwark of moral strength. I admired Pope John Paul II and his willingness to stand for timeless moral principles even in the face of much opposition. If you told me then that a quarter century later Roman synods would be debating non-negotiable issues like adultery under the approving gaze of the Roman Pontiff, I would have wondered if it was worth it to abandon the faith of my youth. I would still become Catholic because of the promises of Christ to protect the Church. For me, witnessing the rancorous debates in the Catholic Church over what should be non-debatable topics has been very different than when I was witnessing similar debates inside the Methodist Church. As a Methodist, I was constantly worried that the denomination would continue to abandon traditional morality and embrace every aspect of the sexual revolution (spoiler: they did). I knew this was possible, because I knew Christ had made no promises to protect the Methodist Church from error. However, as a Catholic I’m less anxious. I’m still scandalized when Catholic leaders embrace falsehood and evil, and when they do so it causes untold harm to souls. Yet I know that the Catholic Church herself will not fail and will continue to be Christ’s Church. This reassurance shouldn’t be taken as an excuse to allow falsehood to spread (“It was just a remark on an airplane – what does it matter?”), but it does put things in proper perspective. If you follow the official teachings of the Catholic Church in their totality, you will be saved. Period. No other church, denomination, or religion can say that. I would still become Catholic because of the Sacraments. Another aspect of the Catholic Church that can never be taken for granted or underestimated is the Sacraments. You could go to a clown Mass celebrated by a transvestite priest (please don’t tell me if this has actually happened), and you would still receive the Body, Blood, Soul, and Divinity of our Lord Jesus Christ in the Eucharist. Again, this is not to diminish the scandal involved, but to emphasize that Our Lord will not be denied in his quest for souls and desire to pour out his grace on the world. As a Catholic, I am privileged to encounter Christ regularly in Holy Communion and Confession. I am given graces every day through the Sacrament of Matrimony. These are gifts that infinitely surpass any scandals or weaknesses of Christ’s ministers. I would still become Catholic because of the witness of the Saints. When I was Protestant, my knowledge of Christian history consisted of the 1st century, the 16th century, and a few people after that, like John Wesley. I didn’t know of the wonderful tapestry of the Saints – those who have testified to the truth of the Church in their lives. When I see the heights of sanctity the Church can produce, I know it must be divinely inspired – no human institution could include such luminous members. I want to be part of the Church that has included St. Peter, St. Athanasius, St. Benedict, Sts. Francis & Claire, St. Theresa of Avila, St. Thérèse of Liseiux, and St. Maximilian Kolbe. And I also note that it seems as if the greatest saints have been produced at times of greatest crisis in the Church or the world. They didn’t live in times of serenity and peace, so why should I expect to? And if the Church can produce such giants of the Faith during times of great scandal, maybe it can change me for the better too. I would still become Catholic because it is true. I don’t join a religion or denomination or church to join a cult of personality around its leader or because it is scandal-free. I join it because it is true. The Catholic Church teaches truth, and is the only path to the Way, the Truth, and the Life. There is only one Church, and it is the Catholic Church. To be a follower of Christ means to be a member of the Catholic Church. To go anywhere else would be to abandon our Lord.